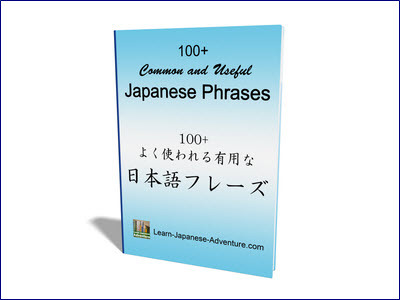 In this lesson, you will get to learn the Japanese expressions that indicate "only", "just" or "merely". Basically there are two of them - だけ (dake) and しか (shika). While both of them have the meaning of "only", they are not exactly the same. Firstly, most of the time だけ (dake) goes with positive sentence whereas しか (shika) always goes with negative sentence. Secondly, a "～だけ" sentence is used for general description of something or the situation, without any personal feeling involved for the speaker. The meaning is neutral and there is no judgement. 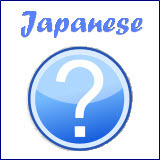 Whereas a "～しか" sentence highlights the objective term and emphasizes the speaker's feeling on the exclusiveness or uniqueness of something or the situation. It's usually used to explain one's inclination towards something. Usually しか (shika) is used in the situation where the speaker think that the amount is not enough or it's too little, with negative personal feeling involved. Meaning: There is only one cake here. You are merely stating the fact that "there is only one cake here". No judgement, no personal feeling. Meaning: There isn't anything but one cake here. Although it still means the same where there is only one cake, you are emphasizing that the amount is not enough. Maybe your family has 4 members, but you only have one cake. You are feeling that it's definitely not enough to share among your family members. Therefore, although both Japanese expressions だけ (dake) and しか (shika) have the same meaning of "only", they are used differently depending on the situation. Meaning: That person only understands English. You are just stating the fact that "That person only understands English". There is no other personal feeling involved. Meaning: That person doesn't understand any language but English. Besides the meaning of "That person only understands English", you also emphasize your feeling towards that person where understanding English alone is not enough, that person should understand other languages as well. Meaning: I only eat meat. In the above sentence, you are merely describing the fact that "you only eat meat". Meaning: I don't eat anything but meat. The above sentence has a stronger nuance of your eating habits, it also emphasizes your feeling that you eat nothing but meat only. 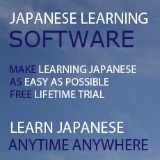 By now you should know that there are always exceptions in Japanese. Meaning: Our teachers are only Japanese. Meaning: Our teacher are not only Japanese. Meaning: It takes only 10 minutes from my house to the school. In this situation, you are stressing the positive meaning that the school is very near to your house.